Cherryville High School history teacher Susan Bachmeier likes to make things real for her students. She wants them to experience as much of history as she can up close and personal. To that end she has, many times, had people in her class to talk about their part or place in history, or has set up ways for her students to interact with those who have impacted history or on whom history has had a profound impact, for good or bad. Bachmeier's Holocaust class at Cherryville High has benefited from several guest speakers. "In September, Mark Epstein from Temple Emanuel in Gastonia talked to the group about anti-Semitism," she said. "Later that month, Ruth and Stan Etkin, from ASU's Holocaust Studies Program, shared with the class about their Jewish faith and culture." And that trend continued on Monday, December 6, as her Holocaust class Skyped with Simone Arnold-Liebster, a survivor in her own right of the Nazi atrocities committed upon Europeans during World War II. Arnold-Liebster, who is currently living in France, was a Jehovah's Witness, one of Adolph Hitler's "undesirables" groups the 1,000-Year Reich wanted done away with by any means necessary. "During World War II, Hitler had an extensive list of those 'undesirables', who were people or groups who did not fit his idea of racial purity," she said. "There were others who refused to support Hitler’s Nazi party and the Jehovah Witnesses were among them, since they refused to join the military, salute the flag or 'Heil Hitler'." The Witnesses, according to Bachmeier and Arnold-Liebster's own web site, had international connections which placed them outside the control of the Nazi state. Ms. Bachmeier said Mrs. Arnold-Liebster was born in 1930, and as a young girl during WWII was targeted by the Nazis because of her religious beliefs. "She was mistreated in school and eventually sent to a reform school to be 'rehabilitated' by the Nazis," she said. According to Mrs. Liebster's web site, her parents were arrested and her father was sent to a concentration camp. While the web site said the family survived and was eventually reunited, the damage was done and they began a slow healing process after the war. 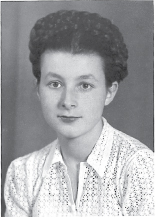 Bachmeier said Simone’s story is one of interest to young people because she recounts how she stood against the Nazis, even at great personal sacrifice. "My students spend part of every class reading stories about the Holocaust and her (Simone’s) personal story of her WWII experience, as recounted in her book 'Facing the Lion', is one book option for my students to read." Arnold-Liebster's presentation is based on a Q & A (questions and answers) format Bachmeier said, and at the age of 80 Liebster still works hard to warn young people against intolerance, and how they need to follow their conscience. "Several students who read 'Facing the Lion' are particularly interested in Skyping with Simone," Bachmeier added. Destiny Borja said she wanted to inquire about the courage it took for her to be questioned by the Gestapo (German Police). "She was only 11!" Preston Walker said his grandmother can recall events about WWII, but Preston said he had never met someone who lived through the Holocaust until Skyping with Mrs. Arnold-Liebster. He said his goal was to "...hear her tell about her personal experiences." Bachmeier said that last year her students were very touched by Liebster's life experiences and felt privileged to communicate with her through this Internet medium. "This year we opened the presentation up to more classes and interested parties so that others could hear about Simone’s experiences living in Nazi Germany during WWII," Bachmeier added.